Rowan University’s School of Earth & Environment was created to provide students with pathways into some of the most exciting and important careers of the 21st century. 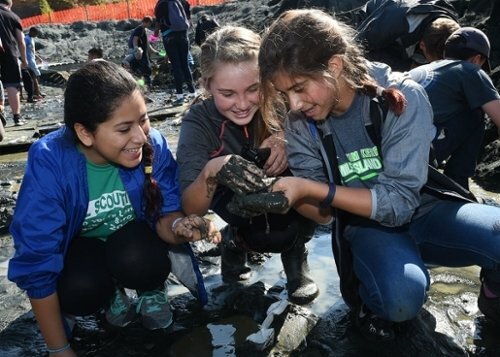 From climate change to sea level rise to environmental restoration, students in the school learn the issues and acquire the tools to make a difference in the world. Our departments offer a wide selection of opportunities for students interested in global environmental issues, sustainability and Earth’s ancient past. Each program is globally focused and experientially driven. Our outstanding faculty includes globally recognized leaders in their fields. 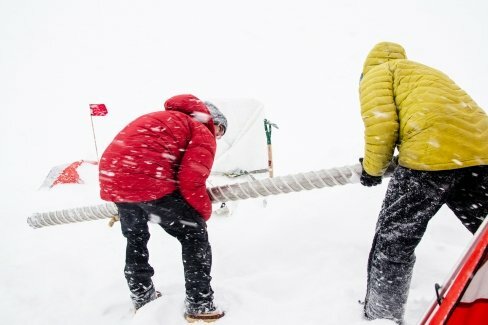 Come explore with us, in the School of Earth & Environment. 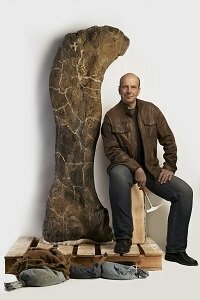 Rowan University alumni Jean and Ric Edelman made history on Oct. 17, 2016, when they announced a $25 million gift to transform the Rowan University Fossil Park into a world-class destination for scientific discovery and “citizen science.” The gift from the Edelmans is the largest ever from Rowan alumni and the second largest gift in the institution’s history. The Fossil Park will be known as the Jean & Ric Edelman Fossil Park at Rowan University. "I’m delighted to introduce Rowan University’s new School of Earth & Environment, created to provide students with pathways into some of the most exciting and important careers of the 21st century...."